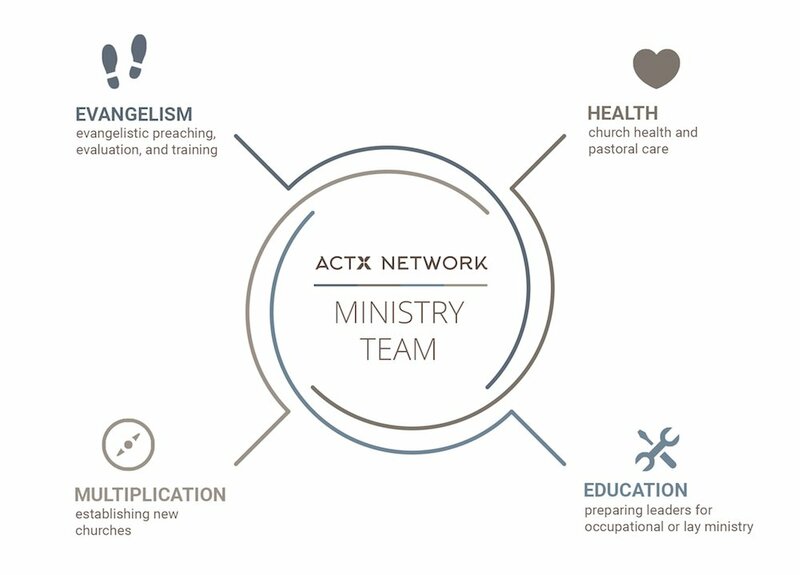 Actx Network is a unique organization in that its goal is not to do ministry solo but in partnerships — a network — with like-minded individuals, ministries, and churches collaborating to fulfill our call and vision. If you would like to participate in the ministry of multiplying disciples, leaders, and churches and agree with our vision and statement of faith, please prayerfully consider partnering with us. You can partner with us in a few different ways. One is through prayer, which is vital for the Lord’s power and presence to be on us and this new ministry. You can also partner with us through a one-time or monthly donation, which will help support the vision and the daily needs of running a ministry. All donations are tax-deductible. Finally, it would be our privilege to network with you or your church. If you are in a church that is in need of evangelism training and outreach or if you live in a community or region that desperately needs a new life-giving church, we would love to meet with you and seek the Lord together concerning His will and leading. A huge benefit of the partnership for me personally is to have someone who can really mentor the pastors. We all need mentors in our lives, and it is a huge blessing to have someone that acts as a “pastor to pastors.” It can be very lonely in the smaller church and especially in a church that is not connected to other churches through a denomination. It is valuable to have some accountability and people to speak into difficult ministry situations. The ministry team of Actx Network will evaluate your church in four key areas: evangelism, health, education, and multiplication. Strengths, weaknesses, roles, and needs will be assessed. We will guide you in developing strategy and then provide coaching, training, and oversight for pastors and leaders to meet both short- and long-term goals. Although Actx Network is a nondenominational ministry, we feel it is vital to work alongside like-minded groups who have the same vision. Our three partner ministries give our Network churches access to training and ministry assistance to help them in their local church ministries. Additionally, it enables us to connect with hundreds of evangelists for collaboration in outreach events. Equips with evidence-based presentations, publications, events, and discipleship programs. Serves through mentoring, outreach events, training, and conferences. Assists, invests, and develops partner churches, ministries, and leaders in a six state region.